History reveals that a change took place in the Christian church in the middle of the 20th century. Long decades of liberalism and Arminian evangelicalism gave way to a recovery of biblical truth. The outstanding figure in this recovery was Dr. Martyn Lloyd-Jones. During his long ministry God was at work in the lives of several young men, bringing them to faith in Christ and to an understanding of the doctrines of grace. The vision they developed for reformation and revival forged them into a kind of ‘Puritan brotherhood’. Among them was John Marshall, the story of whose life reflects these changes. He was brought up in the days when liberal theology prevailed in the mainstream denominations and colleges. Soundly converted during his student days at Oxford, he immediately entered into the conflict that comes with standing for the gospel of the Lord Jesus Christ. Led gradually to a deeper understanding of and love for the Reformed Faith, he devoted his life to the recovery of truth and godliness in church and nation. 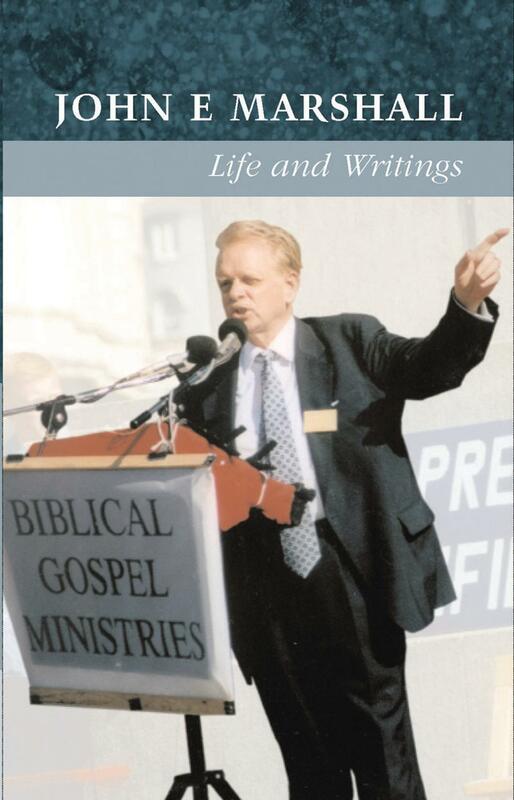 The biography covers the early influences that shaped John’s future ministry, his struggles in the pastorate, his open-air preaching, his emergence as a leader in the work of the Banner of Truth Trust, his wider conference ministry, and his uncompromising stand for the truth. New light is shed on his pioneering work in bringing encouragement and sound teaching to Christians in Eastern Europe and Russia. The writings give an indication of the breadth of his interests, his grasp of Reformed theology, and his pastoral concerns.